For a small county, Cornwall offers a wealth of places to visit and fascinating things to see from coast to country. The natural beauty is apparent, its wildflowers, animals and birds are an attraction in themselves to naturalists. 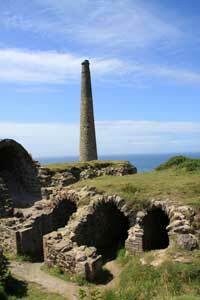 The ancient tin mines and mineral workings offer scenes of industrial Cornwall through the ages, the small fishing harbours, some of which remain active, tell of a coastal way of life in the fishing communities. Visit Falmouth for a look into the life of seafarers and visit the museum. Very interesting walking tours of varying duration and content are available. See into the quarries from a viewing platform and learn about the history, geology and working methods of these long established quarries. Well know smugglers den Jamaica Inn, a coaching inn build 1750, is a must for those visiting Cornwall. Have a rum in the bar and feel its illicit past in the air. Ghost stories abound as is befitting a building set in such a remote place with a history of smuggling. There is a museum which houses an extensive array of smuggling paraphernalia and a memorial room to Daphne Du Murier writer of the widely know book Jamaica Inn. In 1939 Alfred Hitchcock turned the book into 1939. For those who like spooky events it is now possible to sign up for one of the paranormal investigations to be held at Jamaica Inn - you need to book in advance. If wine is more your tipple then a tour and wine tasting of the Camel Valley vineyard should be on your itinerary. Camel Valley, producers of Cornwall Brut, has been in the business for 20 years so know a thing or two about producing world-class wine. As their name suggests they are located near the Camel River. Best to call before going as their tours tend to get booked up. The Camel trail is a safe traffic-free cycling and walking route. Hire bicycles for the family and enjoy a ride at your leisure through beautiful countryside. Pendennis Castle was built during the reign of Henry VIII. 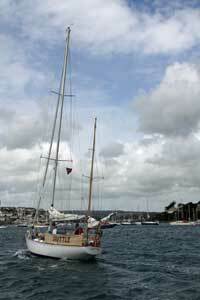 Visit to see the boats along the river Fal. Take a boat trip from Truro for a day out which includes views from the river Fal. Trips are only possible when the tide is high. Aquarium - on display examples of local species of fish. St Catherines Castle - built during the reign of Henry VIII as a coastal fort. Definitely worth a visit is this monkey sanctuary based in woodlands near Looe Bay. Current residents include Woolly monkeys, Capuchin monkeys and Barbary Macaques. There is also a colony of rare lesser horseshoe bats for those into bats. Come see and support the work of this trust which for 40 years has been rescuing primates. Train enthusiasts should take a look at the World of Model Railways Exhibition and shop near the harbour. There are model trains which pass through an interesting layout of very detailed varied landscapes including a Cornish tin mine with the monster of Bodmin lurking nearby. Nearby on Raginnis Hill it is possible most days to visit the Bird Sanctuary and Hospital founded in 1928. It was originally called the Jackdaws Hospital by its founders Dorothy and Phyllis Yglesias but was later renamed the Mousehole Wild Bird Hospital and Sanctuary. In 1967 the hospital did a fine job dealing with over 8,000 oiled seas bird victims of the Torrey Canyon disaster. See Asian short clawed otters, Fallow and Muntjac deer, wallabies, owls (various), peacocks. Animal sponsorship scheme in place. Amenities include a tea room. This is a working cider farm producing 40 varieties of fruit products such as scrumpy, brandy, jarms and preserves. All produce is available to buy in the farm shop. Who could resist buying some Cornish Rattler. Anyone for Cornish Eau de Vie (Spirit of Life) or maybe the lovely sounding preserve with liquer Raspberry & Kirsch. Either look around for free or pay and join a tour where all will be explained. Make sure you visit the distillery. 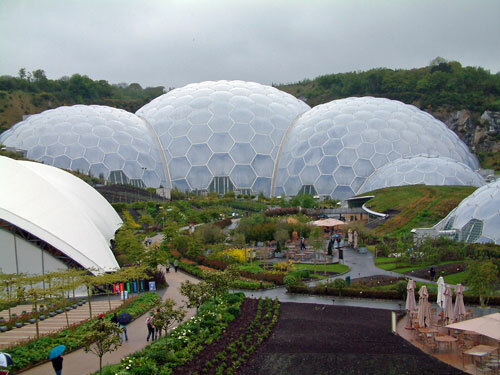 A constantly evolving global garden the Eden site comprises of three biome (giant green houses shaped like gigantic golf balls), a visitor centre called the Core with gardens around. For those unable to get around very easily or who just fancy having a look around the exterior gardens at leisure there is a little train. Visit the magnificent restored gardens at the 400 year old seat of the Tremayne family. Explore the Northern gardens, the subtropical garden, the ancient woodlands and Horsemoor Hide where you can observe the wildlife of Heligan. As you walk through the Northern Gardens look out for the magnificent rhododendrons some of which are over 150 years old. The attractively laid out Vegetable Garden is definitely the place to look for tips on how to increase your yields. See the interesting way that fruit trees are grown against walls and as in case of peaches in special glasshouses. The Sundial Garden is worth a look as is the Pet's Graveyard. The latter is tiny and in the area just across from the Sundial Garden and easy to miss. As you walk in to that area the tiny graves are on the left hand side. Those keen on bird watching should head for Horsemoor Hide where it is possible to observe local wildlife species close at hand. There are also films depicting various events captured throught the year. Definitely don't miss the Jungle. There is now a walkaway right round which makes it more accessible even for people with babies in buggies. Afterwards head for the Woodland Walk and see if you can spot the three sculptures: The Giant's Head, the Mud Maid and the impressive Ghost of Grey Lady. There is a lot to see at Heligan so it is good to make it a whole day trip if possible and take it slowly. It is accessible even to those with disabilities although some may find having to walk as far as the Jungle a little too far. For those there is still plenty to see. Once you have finished exploring the gardens take a rest at the Award Winning Heligan Tearoom. Before leaving take a look at the books, seeds, plants and bulbs available for purchase – variety dependent on the season. Lastly don't miss the splendid Farm Shop for food goodies to take home. What better way to introduce the family to the joy of the theatre than by a visit to this open air theatre. 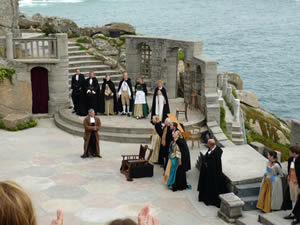 A extensive programme is planned for 2009 including such varied works as Evita, A Chorus Line, Treasure Island, Otello and the Proms at Minack on September 19 and 20. Also don’t miss a visit to the Rowena Cade Exhibition Centre where you can learn about the founder Rowena Cade, an extraordinary woman, who built the theatre much with her own bare hands.